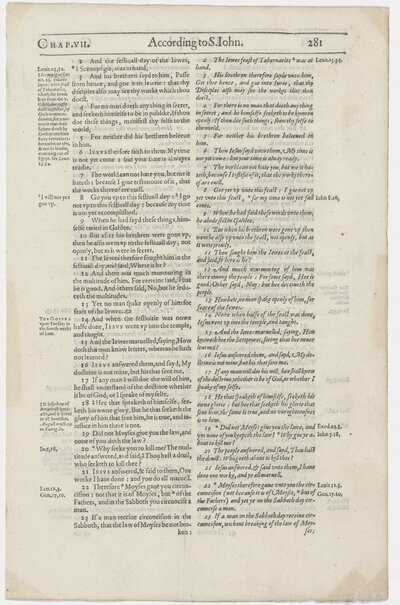 Leaf from a 1601 Bible, recto. Layout: Printed in two columns of 65 lines. Originally printed in London by Robert Barker, 1601. 1 leaf (printed on both sides) ; 32 cm. Comprising of the first 42 lines from John, chapter 7. Bible -- N.T. -- John -- English. Send Comment about Leaf from a 1601 Bible, recto.